This is not the Yellowjacket from Marvel. His first appearance was on his own title, Yellowjacket Comics #1, on September 1944. It survived 10 issues then moved from publisher to publisher, with sporadic apparitions. 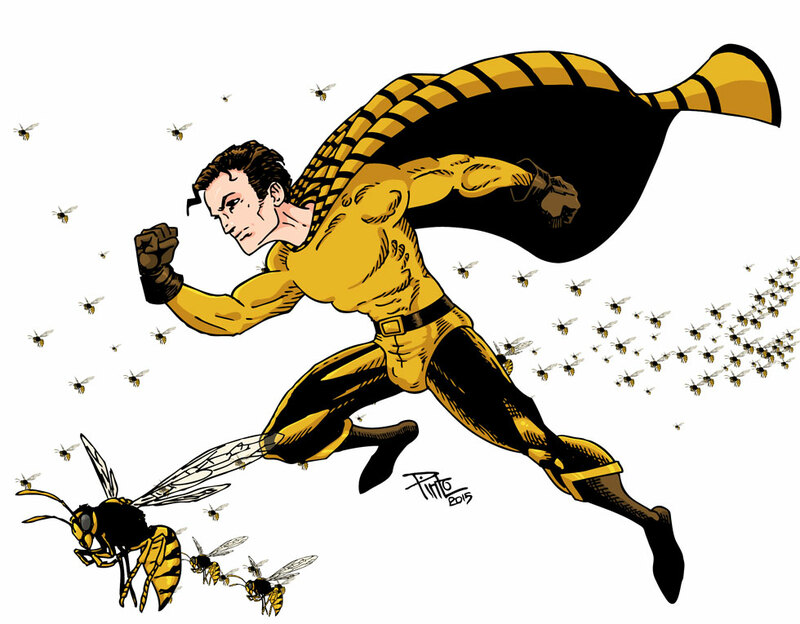 He fought crime using the ability to control yellowjackets while wearing an amazingly discreet yellow striped costume.